Exquisite design with precise dimension and craftsmanship;Toughened glass door with silk-screened flower pattern, vented front door border and rear door. Welded frame with high intensity; High-density vented front door (patent) & rear door enable equipment protection, ventilation and reliable operation, with turning angle above 120 degrees and ventilation rate above 71.2%. Welded frame, reliable structure;Easy mounting installation（patent）;Cable entry on both of top cover and bottom panel;Turning angle of front door is over 180 degrees. The detachable frame;cost effectively; price competitive. 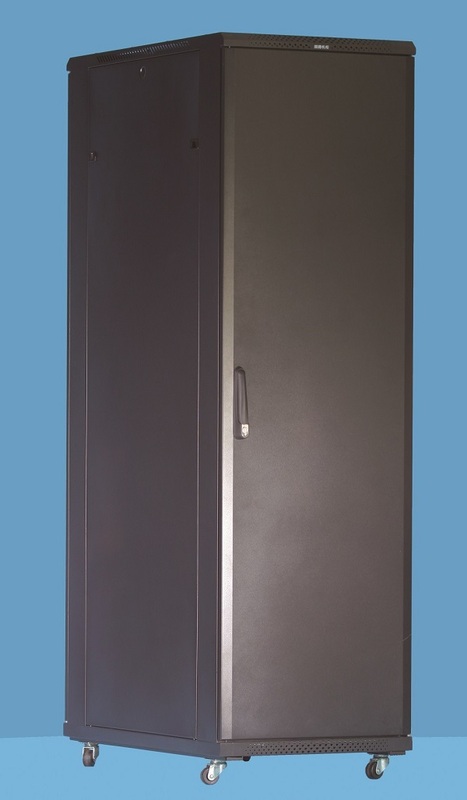 Optional plinth enables cabinet to stay in a fixed position, meeting requirements of under-base cable entry/ventilation and prevention;Flat pack is optional to reduce the shipment cost , easy to assembly. power strips, fixed shelves, fans, supports, heavy duty castor, adjustable feet, quadrate screws and nuts, cable entry rack, sliding shelves, sliding keyboard, display panel, door-lock, etc. Add：East Block, 12th floor, Hanggang Business Building, Shennan Rd, Futian District,Shenzhen, China.